Aaron Collins could not have enjoyed a better start to his Morecambe career. 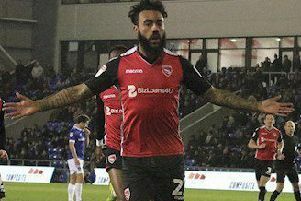 Having agreed a deal until the end of the season after leaving Wolves, the Welshman has made two substitute appearances and scored the winner in both games at Port Vale and Oldham Athletic. 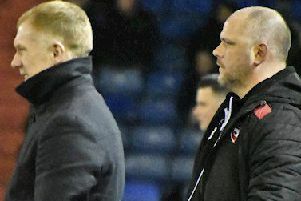 Now, as the Shrimps prepare to meet League Two leaders Lincoln City tomorrow, Morecambe boss Jim Bentley reflects on Collins’ flying start to his Globe Arena career.